Since our last post, we have two more revised versions of our books ready and on sale. These are the YA novel, THE MIDDLE OF NOWHERE, and the poetry collection, PIECES OF THE MOON (the first book we published, a decade ago). We are in the process of getting the revised editions of our second poetry chapbook, DREAMWINDS, uploaded and available. Expect them in the next few days (though it takes longer to get the new ebook versions to all the retailers). Then we start on the first of the Donzalo novels, THE SONG OF THE SWORD. We hope to have all the Donzalo's Destiny titles revised and ready well before the end of this year, followed by the release of a print version (maybe a hardcover too?) containing all four books. 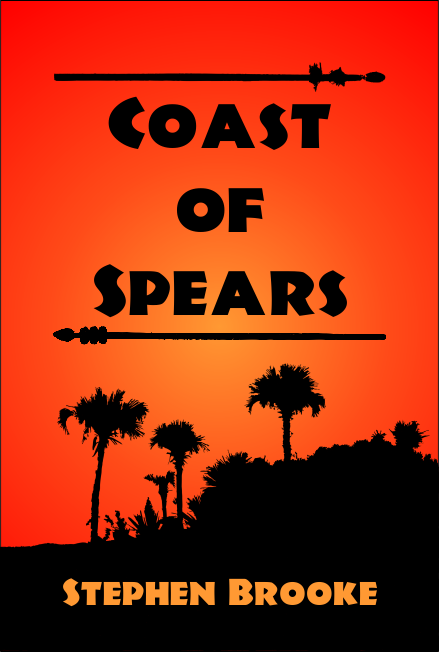 Also keep an eye out for the new fantasy adventure from Stephen Brooke, COAST OF SPEARS, which we hope to release this summer. But we all know about how plans are subject to change! A mockup of a possible cover. Beginning our task of updating, editing, and revising all our titles as necessary during this year, we have completed and uploaded new versions of Stephen Brooke's beginners' chapter book, THE CONTRARY FAIRY. Print and PDF versions are available now at our store. We also chose to add an EPUB edition of the book. That is online at our shop at Lulu and should appear at other ebook sellers soon, including a Kindle version at Amazon. Next up is the poetry chapbook, PIECES OF THE MOON (our very first title). Expect changes at our website, as well. We made our pages wider and friendly for large screens over recent years, and then everyone started visiting the web on small hand-held devices! It is time to redesign with that in mind.